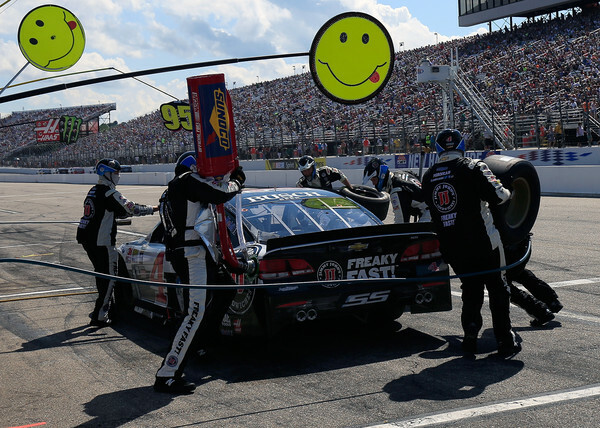 When Kevin Harvick moved to Stewart Haas Racing following the 2013 Season, many had doubts about what was happening with him personally and many began to wonder if that was a good move or not. Harvick joined Stewart Haas Racing in 2014 which would be the year Harvick would gain his first career championship in the NASCAR Sprint Cup Series making many of those people who doubted him at one time reverse their decision. Now another move is facing Kevin Harvick going into the 2017 Season and that is the fact that Kevin Harvick will be driving the #4 Jimmy Johns Ford Fusion. 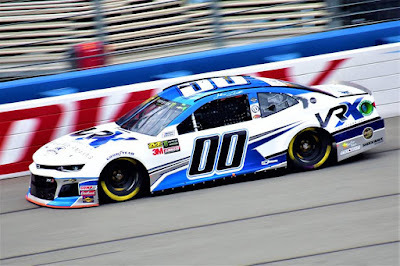 Throughout his career in the NASCAR Sprint Cup and NASCAR Xfinity Series he's drove nothing but a Chevrolet any many doubt his decision to continue with Stewart Haas Racing who will be switching over to Ford in 2017. 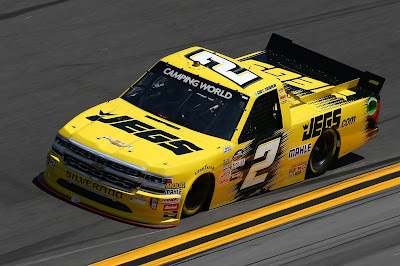 But in a surprising move he re-signed a multi-year deal with Stewart Haas Racing which made the many rumors disappear and Harvick was able to continue the season without the cloud of rumors hanging over his head and hanging over Kasey Kahnes head (Where he was rumored to go at one point in the 2016 Season.). It made focusing easier and it made that an aspect that they didn't have to worry about. The only thing that really troubled Harvick was the many pit road issues he had over the season and when it exploded at Darlington when he had some things to say about his crew to the Media. In 2017 I predict those issues will appear again. What many don't recognize about Kevin Harvick and I didn't until I did my research is the fact that Kevin Harvick hasn't been solely with Chevrolet his whole racing career. 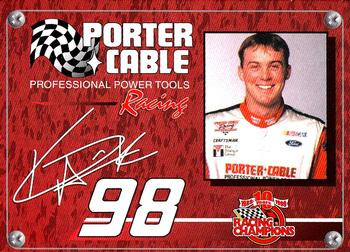 In 1999, Kevin Harvick ran a full schedule in the NASCAR Camping World Truck Series behind the wheel of the #98 Porter-Cable Power Tools Ford for Jim Herrick. That season Harvick didn't gain a victory but he did gain three runner up finishes at Mesa Marin, Memphis, and Nashville Fairgrounds. Harvick has also raced a Pontiac once in his career in 1999 at Mesa Marin in the NASCAR K&N Pro Series.